Motocraft is a small customization shop in Bengaluru led by Dhruv. 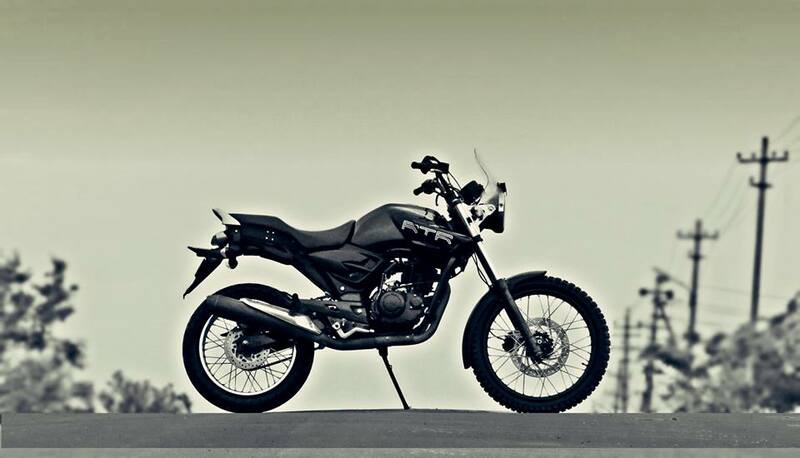 Motocraft have now customized a TVS Apache 180 for client whose interest is in exploring forest trails. They have re-engineered it. They named it RTR Enduro which supporting its strength for off-roading capabilities and strenghts. In the front end, they have used long travel suspension, Continental TKC80 tyres wrapped around 21" rims and bigger, powerful brakes. They converted the rear end to a monoshock and extended the swingarm for better handling. The rear 18" spoke wheel too has disc brakes and is shod with Ralco speed blaster tyres. They junked the original front and rear body panels on the bike for light yet durable units. The original speedometer was adapted to suit the bigger wheels. A high raise handlebar gives a comanding riding position aided by the 320mm ground clearance. If you are interested in bike you can message us or you can just put out your comment on the below section.